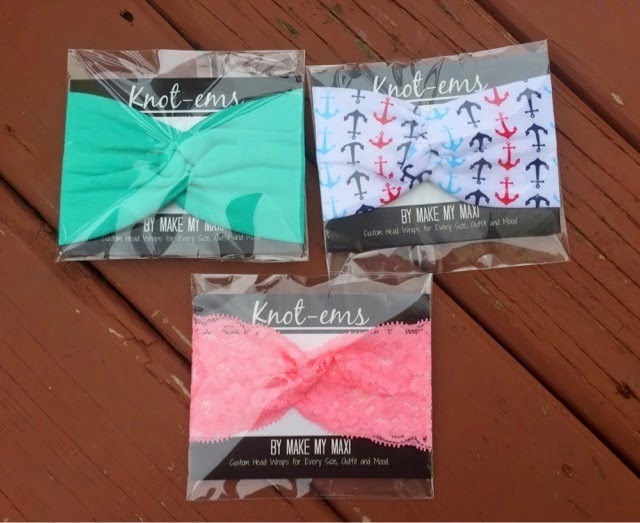 I've always struggled with headbands, they always slip off my head, even the ones with the no slip grip stuff. I think the problem is that they are so skinny and they just slip right off within minutes. Well I have short-mediu hair now and I'm running. So when I put it into a ponytail I have little hairs that pop out on top. 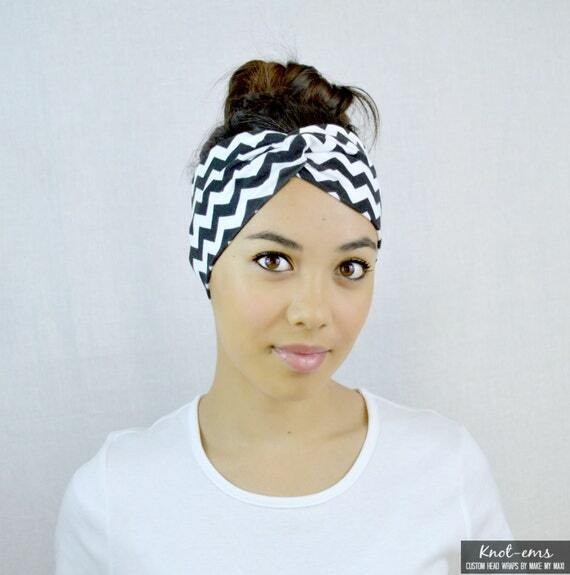 Needed to find a headband that would hold y hair down (or look cute when my hair is down) and would stay on my head. 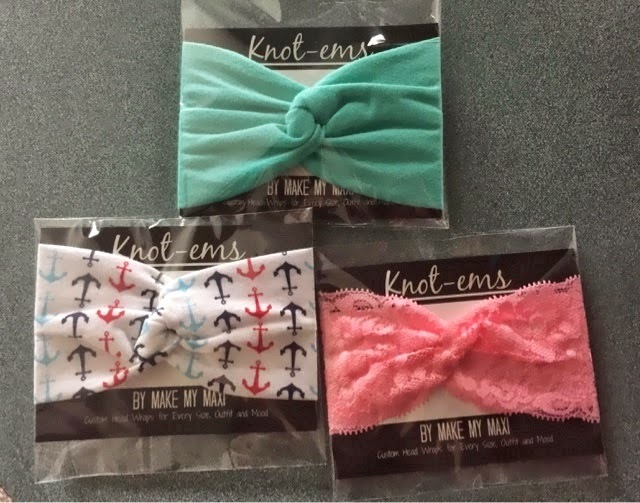 The Knot-Ems by Make My Maxi are absolutely perfect! Mint is a 4" size width and the other 2 are 3". Even though the large size is a bit big on me, these still stay on my head really well. Even while running and being active. I have had no issues with these staying on my head and they are PERFECT for me. And they are super cute! Her sewing is perfect!! 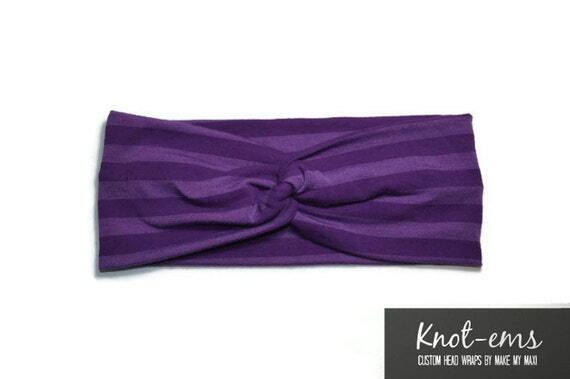 The seam is INSIDE the headband so you can't see it and the inside sea is really smooth and perfect. And her little knots are just perfect and also smooth. They really give it a nice touch! She currently has 102 items listed in her shop and each one is gorgeous! Look how cute on little babies!! Isn't Rachel just gorgeous too?? 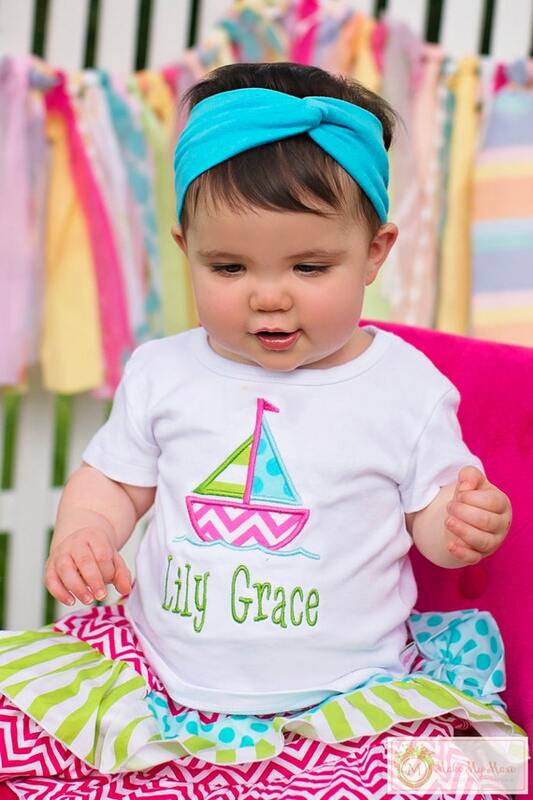 They come in sizes Small from 0-3/6 months old, Medium 6m-8 years, and large for adult heads. She also offers the large in 3" width or 4" width. I measured my head and it seemed the large would fit me, but really I need a large minus about 1". There is 3" difference between her medium and large. Overall: ***** Love them and would recommend to anyone, especially those that struggle keeping a headband on! The shop just closed down today. When she opens back up for orders in Mid-Late May, I will repost the review and include the giveaway!! SORRY for the inconvenience! !